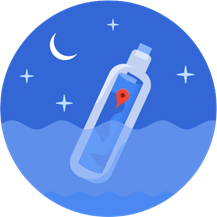 A new version of Google Maps hit the beta channel late last night, bring the version number up to v9.32.0. It looks mostly unchanged, but there is a brand new menu option in the Contribute screen that allows users to clean out locations they've never visited before. The bigger news comes from a teardown. A handful of notable new features are on the horizon, including a true cellular-free mode for navigation, real-time traffic notifications, and more. 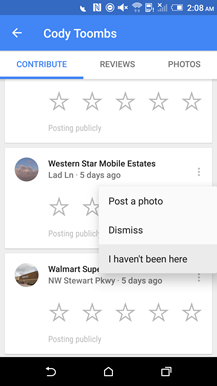 Since this is a beta release and the Google Maps team has been incredibly ambitious with new features, I expect some of the things listed in the teardown are actually live, but for many different reasons they may not appear for everyone or at all times. Keep a watchful eye open for just about everything listed below, almost all of it could be waiting for somebody at Google to give the go-ahead. In the meantime, if you would like to grab the apk, a link is at the bottom. Remember, this is a beta release, so it will only roll out to you if you have signed up for betas, or you wait a few weeks (or months) for the update to hit your phone naturally. If you're adamant about keeping your Contribute screen fairly clear of places to rate and review, you may have stumbled onto a tricky decision: what to do about places you've never visited, but Maps thinks you have. It happens all the time, especially if you happen to stop at a neighboring business. 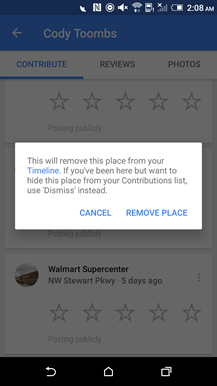 On the one hand, you can dismiss those places, but then they will never automatically show up in your list again. You could leave them in the list, but that's going to lead to a really messy list. Let's just pretend a false rating isn't an option. Now Maps gives you the option to put a location back and let it appear again after you've actually dropped in for a visit. This feature joins the overflow commands in the list of to-do locations on the Contribute screen. It reads "I haven't been here" and shows a dialog on the first use to explain that places you never want to see again should be dismissed instead. This should make it much easier to clean up your list of locations now that many of the cards can be put back in the deck. 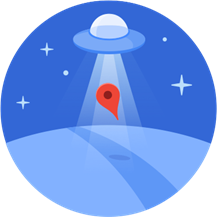 When Google launched support for offline navigation and search with Maps, many users were understandably disappointed to discover that the app would still ignore preloaded maps and use cellular data if it was available. This means offline maps were only useful in areas where data was unreliable or non-existent (or when using airplane mode, but that's a bad compromise). Since many people live with metered service and have to pay fairly high prices for relatively small increments of data, regular use of Maps could get pretty expensive. The last major beta update for Google Maps revealed that offline data may soon find a place on SD cards, and now it looks like users will have the option to almost completely shut down usage of cellular data. The new mode appears to be named "Wi-Fi only," referring to the point that offline maps are still downloaded and updated over Wi-Fi, and cellular data connections are effectively left alone even during navigation. Some promo text also acknowledges this feature should help to improve battery life since the cellular radio doesn't have to be actively pulling data for as long. There is a note pointing out that "a small amount of data might still be used," but no specifics are given to explain how or why. Logically, the reasons to use small amounts of cellular data might include minimal data reporting, checking in to renew offline maps to prevent expiration, or to complete searches when the currently stored maps can't return results. Whatever the reason, it's likely that this quantity is going to be measured in kilobytes, or maybe crossing into a few megabytes, which is usually within acceptable parameters for most people. Ok, some of the same footnotes from the past surely still apply. For example, maps are still going to expire after 30 days if a user doesn't connect to check in and update, and features like traffic predictions and satellite views still won't be available fully offline. Judging by many user reactions from the past, these restrictions will still be totally and completely unacceptable to somebody; but let's be honest, it will be good enough for most of the real-world situations out there. There are still elements I suspect may be missing, so Wi-Fi-only mode probably won't go live with this version. As always, it's possible. If it does go live, expect to see a welcome screen to explain the feature and a new option in the Offline settings screen. About three months ago a teardown turned up an "experimental" Live Traffic feature that I assumed to be based entirely on fresh data. There have been a few minor additions to the strings since then, but they've been mostly benign. We've received a number of tips suggesting this feature had gone live, though many of them still read a lot like the already existing Traffic layer. With this update, things have changed quite a bit. The previous strings are gone and a new set have taken their place with a more specific and dedicated purpose. What was previously called Live Traffic seems to have been renamed to Area Traffic Notifications. The new text is much more helpful for explaining what Area Traffic Notifications are supposed to be. Users will get notifications with real-time traffic conditions in their area and details about what to expect before getting caught in a jam. It looks like notifications will come with either a declaration that "the coast is clear" or a warning about delays that can be tapped on to see more details. 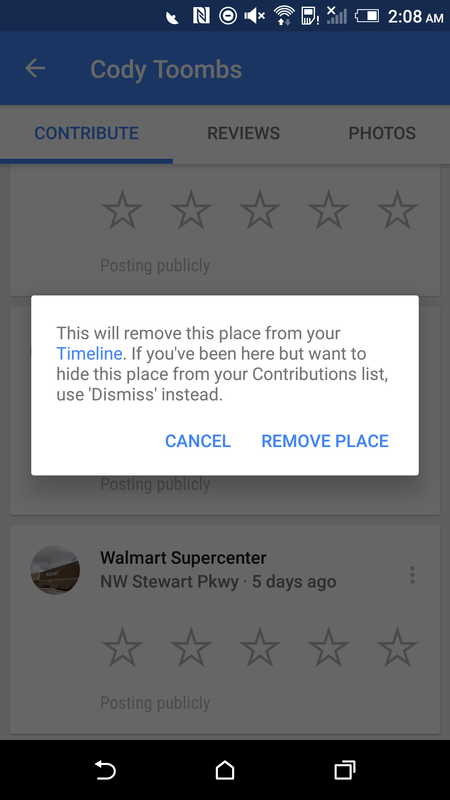 Like most of the other notifications in Maps, these can be turned off if they're not wanted. It's not clear if area traffic notifications are live for anybody yet, but I don't see any reference to them in a Settings screen, so I'm not too optimistic about seeing them with this version. 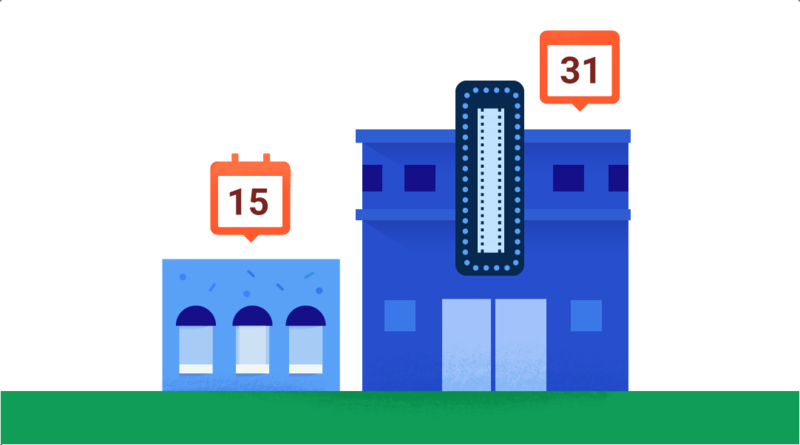 Google incentivizes participants of the Local Guides program with points that earn new levels and benefits as they progress, but that's not the only thing contributors have been known to compete over. Active members regularly receive a running tally of the total and individual view counts for their contributed photos. These view counts aren't useful for anything in particular, and there are no rewards attached to them, but it doesn't stop people from comparing stats. For example, Liam and I were running neck-and-neck for a while. He's now thoroughly blowing me away, but I've been lazy about adding pictures lately. 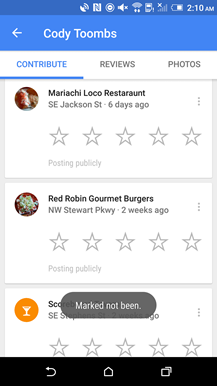 Google is going to begin pinging Local Guides about locations that offer "a lot of view count opportunities." 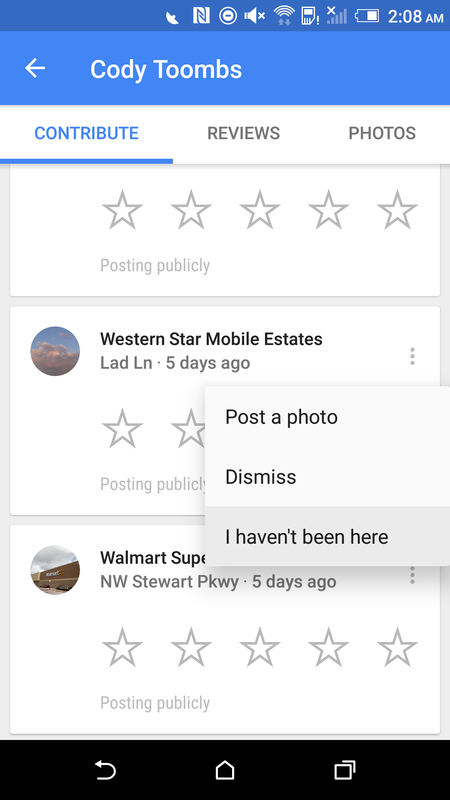 This is going to be a notification that tells people a certain place has very popular photos and encourages them to add their own to the list. As if the Notifications group in Settings weren't already getting pretty full, this too will be a toggle users can switch on or off to fit their taste. Yeah, this notification is basically self-serving and it totally plays into peoples' competitive nature, or perhaps just their vanity, but it will definitely encourage some contributors to snap a few extra shots while they've got a few free minutes. Now we're getting down to some of the oddball entries that aren't necessarily as interesting or don't come with enough information to make good guesses. I always see new images popping up with updates to different apps. Most of the time, they end up gracing the hero image at the top of the post or I slip them into sections relating to them. There are other times when I don't know where else to put an image, but it still deserves to be seen, so I throw together a little section like this with whatever jumps out at me. Here are a few images that seem like they're a little more unique, or perhaps more attention was paid to them than many others. The first three have "error" in the name, but none of them really look like they should be errors. Whatever the case, they look pretty cool. 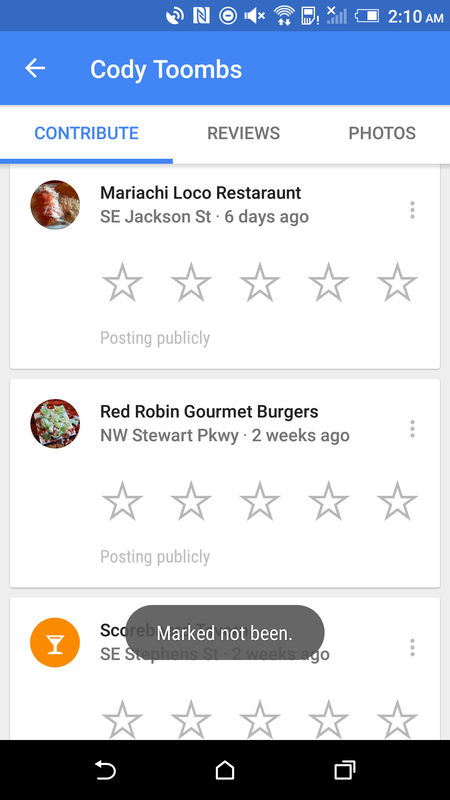 The next one is a little closer to Google's current art styling. It's named yourplaces_illustration_upcoming, so it's obviously related to the Your Places screen, but it doesn't seem to be showing up anywhere in the live app. This will probably take a position at the top of the action bar at some point. This is as straight-forward as it gets. 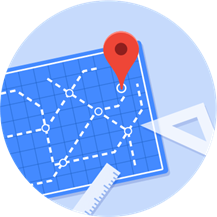 Google Maps will display some names in both the local language and with a name translated to a language familiar to the user. This is obviously good for travelers that might not otherwise know the words for certain types of businesses, especially restaurants, tourist-oriented sites, and similar landmarks. Names will appear in the local language first, followed immediately by the translation in parenthesis. There are a few new strings that seem to describe a card with some relation to making a commute between home and work. My guess is that this card will appear in Maps at certain times of the day, shortly before it's time to leave to make your daily trips. It doesn't seem exceptionally special since it feels like there are already a dozen other ways to launch navigation to your home or work. I've got no idea if this is live yet, but it's certainly possible. Hey, this is the side-effect of working from home, I don't do commutes.